The high-tech lifestyle has made it easy to manage smart appliances to make life easier; however, it brings with it the worry of hacking threats. Once a hacker finds his way into the home, everything will be for grabs. 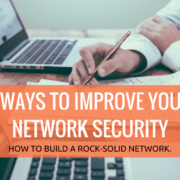 Fortunately, there are some simple IT security solutions that can protect your network from attacks. Each solution including CUJO, Bit Defender Box, and Norton Core has the backing of their cloud computing technology that analyzes the threat in the cloud and incorporates it into the overall system. Most security devices are the same at face value, most of the offer protection from hackers and other threats. However, each of the devices offers a different level of protection to the user. 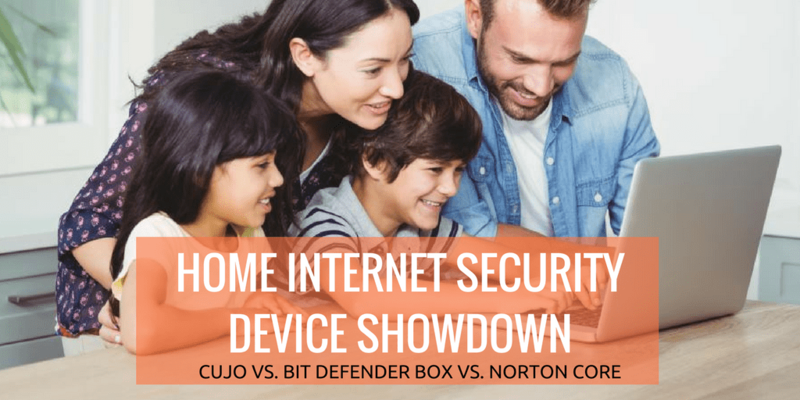 Below are a quick comparison and review of the most popular internet security devices: CUJO, Bit Defender Box and Norton Core. CUJO AI Smart Internet Security Firewall: This is a device designed for plugging into your router using an Ethernet cable. Cujo then monitors all the data flow into and out of the home network to stop cyber-attacks and stop sensitive data from leaving your network. Bitdefender Box 2 – Next Generation Smart Home Cybersecurity Hub: You can set up the device with your current router or use Box 2 as a Wi-Fi router. Whichever way you choose to use it, this device will still protect the connected devices. Norton Core Secure WiFi Router: This technology works partly like that of Cujo. The device then inspects the metadata packets and uses advanced machine learning, intrusion detection, and the Symantec’s global network to provide an excellent defense to your home. It supports a speed of up to 2.5Gbps, has parental controls, and supports unlimited smart home devices. Cujo provides a firewall together with antivirus and anti-malware protection. It protects the user from hackers, scammers, and phishing. When placed on the router, it can monitor everything coming and going through the network gateway. It stops you from accessing any site it thinks is not trustworthy depending on the rules you set. Cujo can avert your devices from sending any private information to the internet. The detected threat is automatically eliminated. Its database is frequently updated with newly encountered threats keeping up with the ever-changing cyber threats. Bitdefender Box 2, is very versatile since it can work with any home network setup. It works with a router-modem, standalone router or even without a router. It does not just stand guard at the network gateway; it creates a virtual Wi-Fi router. This design protects everything connected to the device router through this setup may slow down the internet speed. However, if you are using anything from 1Gbps, you will not experience the slowdown. It uses behavioral and machine learning to identify possible attacks. The wide database automatically detects and eliminates the threats. The subscription gives you access to a regularly updated antivirus that can be installed on any number of smartphones and computers. Norton Core is considered a high performance and the best in the market home security router. Its first line of defense comes from the automatic background updates. When it detects any threat, it automatically updates every router to enable it to protect itself from this threat. This means you are protected from the current threats and those that are yet to be created. The Norton Core is more of a hardware virus scanner for the home with a huge database of the current threats. It scans every device and provides you a security score that provides you with information on how to secure all the devices. It even notifies you and gives direction on fixing the weak points. Internet security is just as a great an investment as your traditional home security. It is essential that you deliberate on the long-term cost of the internet security devices and services. Cujo doesn’t require users to pay a subscription for continued use of their security network. It offers a One-time payment of $249 which includes an unlimited service plan. BitDefender Box 2 retails for $249, a price that includes one-year’s subscription to their internet security services. After the first year, you can renew this security service at $99 per year. Norton Core costs $279.99 and works as a router. When you purchase it, you get the Norton Core Security Plus antivirus free with a limitless number of licenses for mobile devices and computers in your network. It also comes with 25GB of cloud backup. However, after the first year, it will cost you $9.90 per month to continue getting the protection. Each of the internet security solutions above has their advantages, unique selling points and their disadvantages to each user. If you want an all-in-one high-performance WiFi router that is easy to install, then the Norton Core is your device even though it may cost more than the others. BitDefender Box 2 also offers robust security features packed into a great looking box that worth considering. Cujo has a sweet offer of lifetime access at an affordable one-time payment. However, only purchase it if you have a technical understanding of your network since setup can be a bit challenging at times.